Hear that? It's the sound of the wind getting sucked out of US Soccer. Collectively, I don't know many fans that were cheering for this, but on a plus side, it could be worse. We could have signed Sven Goran"the Pimp" Erikkson. Sorry about the lateness. Seems Gulati likes to sneak stuff by me when I'm out coaching my team to a win, but better late than never. 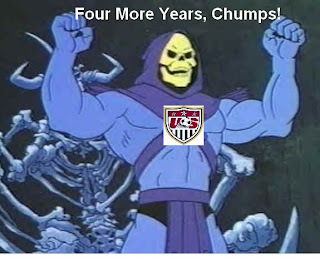 By the looks of it, it'll be through the next World Cup cycle, and hopefully not any longer. We'll get to see the "great" Bob Bradley give up early goals yet again to Poland in Chicago on Sept 3rd at 7pm CST and then again to Colombia on Oct. 12th at 7pm CST in Philly. Damn, I hate the status quo.